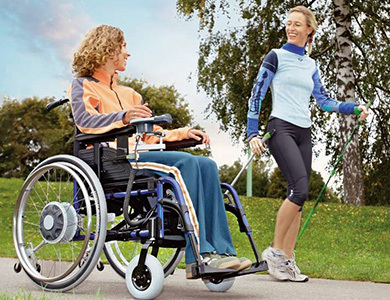 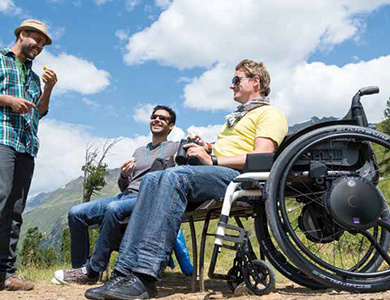 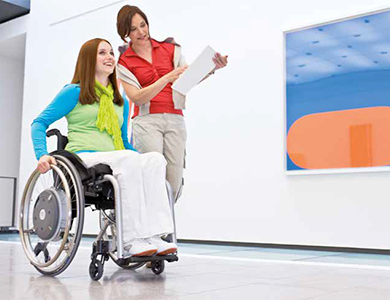 The power assist e-motion helps propelling a manual wheelchair while providing therapeutical benefit. 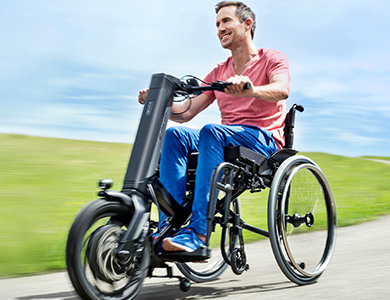 Two silent and discreet electric motors with innovative Lithium-Ion batteries support the wheelchair driver to cope with gradients and long distances. 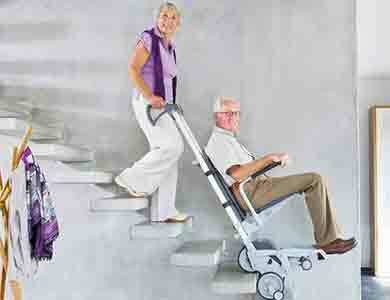 Click on the lifestyle image or product name below for a description of each power add on.